This is a post about blogging rather than specifically about teaching and learning from preschoolers. Just so you know going in . . . I like to think that readers come to this blog to learn about what our little school is up to, to pick up some ideas, to connect with another advocate for progressive, play-based education, maybe to enjoy an occasional yuck or a clever turn of phrase, and perhaps even to squint at what's being said in this corner of the internet about things like the state of education in America. And while blogging is almost by definition all about "me," I'm under no illusion that I'd keep an audience for long if I spent too much time on my own wonderfulness, so I instead try to keep my nose to the grindstone and crank out a post, for better or worse, every day. I don't put a lot of effort into "marketing" the blog, reaching out, making connections, trading links and awards and whatnot. I know I should and I'm sure more than a few of my fellow bloggers have given me up over the years because of it. I have a limited amount of time to put into this endeavor. I've made the decision that I'm going to focus as much of it as possible on the writing because that's where I have a certain ability (I worked professionally as a writer for 15 years), and let the chips fall where they may. I've always been a poor correspondent and much of what great internet marketing requires is the talent of staying in touch, one I covet, but simply don't possess. The necessity to respond, reply, be witty, and so on weighs on me, making me feel tired, so I stick with what I know and hope people don't feel like I'm too much of a jerk. That doesn't mean that I'm not knee-quakingly flattered when others single me out for recognition, compliment me, present me awards or nominate the blog for this or that. And I'm not above saying "look at me" when I find myself in a limelight as evidenced by the Edublog and Raising Playful Tots badges I've stuck over there in the right hand column, which is what I'm doing today. 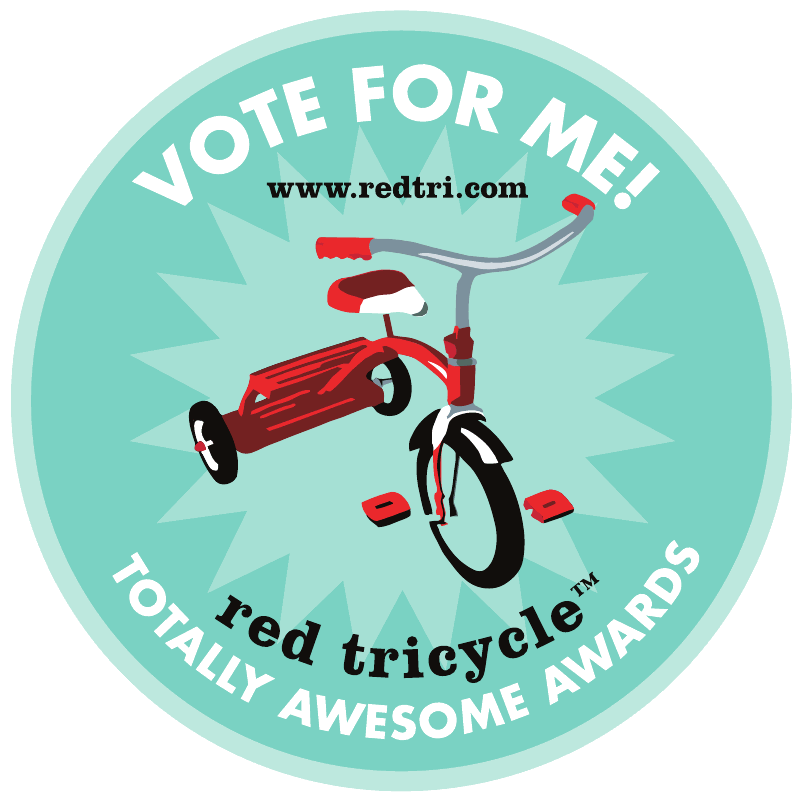 Yesterday, I learned I was a finalist in Red Tricycle's Totally Awesome Awards in the category of Local Blog. I know that my readership isn't restricted to Seattle (although it is my top readership city), but you know, it's fun to get a little recognition at home and I'd sure love to win that award. I'd consider it a real feather in my cap given the great competition in the category. I will be forever grateful if you clicked over and gave Teacher Tom's Blog a little love. Okay, commercial is over. Tomorrow we return to our regularly scheduled programming . . . Thank you for reading! 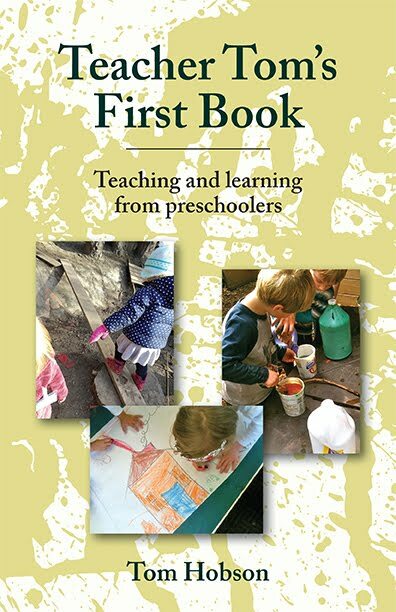 I'm a homeschooling mom to a preschooler in Austin, TX. Get lots from your blog, voted for you today. I hate to rain on the parade, but freecollegeclasses.org and teachercertificationdegrees.com are running a common link-bait scam. They're trying to increase their search engine rankings by linking to really great blogs like yours because their own sites have nothing to offer except ads. I run a blog (on an related topic) and get listed as a "top 50" or "top 100" site all the time by these scammers. Voted for ya on the Red Tricycle, though! That one's legit. Thanks Anonymous . . . In all fairness, they both made no secret about wanting a link and new readers, but I think I've given them enough now . . . And thanks for the vote! I hear you, Tom... totally. I too do best at just writing and hoping the quality will take care of the pop ranking bit, but my blogging friends assure me one needs to do some linking and so on to start the ball rolling... I'm not much good at it either! For what it's worth, the fact that I read your posts every day is a vote LOL... and I admire your ability to get one out so regularly. Sometimes I struggle to get even one a week done! I will vote for you from Australia as i am in early childhood (Me and my work!Only way to stay young. )Please drop by some time. I am going to vote for you right away. I love that you are a blessing to so many every day. You inspire me in great ways. I can't help you right now with money, but I am writing a note in my day planner for July. I hope, by that time, I will be able to give you something. I think writing decent blog posts is the best marketing ploy of all... and your visitor stats prove this time and time again. I'm a supporter of awards like "Edublog" because it's an opportunity to raise the profile of the value of pre-school, alternative education and different ways of working with children that meets their needs. So yes - you need a vote... it's a guerrilla tactic for all of us to tell the world about what really matters!!! And thanks for all the hours you spend blogging for our convenience and pleasure. Here's another vote from Australia. Love your posts, keep 'em coming.